Started practices for softball and baseball. My Lauren had her first soccer game. I had planned on taking pictures, but I was frozen! It was so cold outside. The game was a lot of fun to watch and I realized I enjoy her games a lot more when I can watch her without watching my other kids. It was just me and her. She did great and if she pushes just a little more, I am sure she will get a goal soon. My middle guy is sick and the 2 of us missed church today. Thank goodness for my mom who took the little guy and the 2 girls so they didn't have to miss. Hopefully he will be feeling better soon. 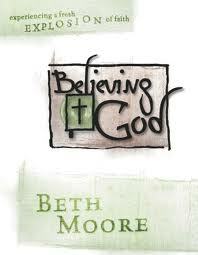 I missed the first Sunday school class on the new Beth Moore series we are doing. Was a little bummed, but can't wait to go next week. I am 34 weeks and can't believe the time is flying by. I have some projects I really want to get done before the baby comes. Between me, my mom and the husband, I am hoping they get finished before she comes. We still have no set name for the baby. We like Hannah, Mia, Amelia and Zoe. I'd love to here what name you like? Until we decide, our poor baby girl has no name. We do affectionately call her "little Miss" and "Sissy". put some things on ebay. Link up your post below and link back to tcm or grab my today is Monday button from the sidebar. I love Amelia. What would the nickname be? Lia? Amy? No shortened name? I also like Catherine - nicknamed Cate(which I realize wasn't in your list). LOL.